Update: September 2014 – The notes in this blog post have been uploaded to github: https://github.com/mikecroucher/Windows_Scientific_Computing. The blog post will be kept as-is for posterity reasons. For the most up to date version of the notes, see the github version. Some time in 2013, I helped out at a Software Carpentry event at The University of Bath. As with most software carpentry boot camps, one of the topics covered was shell scripting and the scripting language of choice was bash. As I wandered around the room, I asked the delegates which operating system they use for the majority of their research and the most popular answer, by far, was Windows. This led me to wonder if we should teach using a native Windows solution rather than relying on bash? A few years ago, this would be an insane proposition since the Windows command shell is very weak compared to bash. 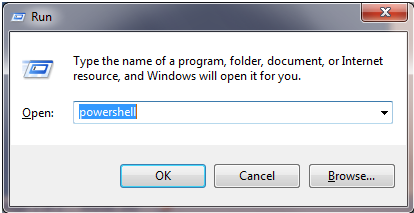 PowerShell, on the other hand, is modern, powerful and installed on all modern Windows operating systems by default. My problem was that I didn’t know PowerShell very well. So, I took the notes for the 2013 Bath shell scripting session – https://github.com/swcarpentry/boot-camps/tree/2013-07-bath/shell – and gave myself the exercise of converting them to PowerShell. I got close to completing this exercise last summer but various things took higher priority and so the project languished. Rather than sit on the notes any longer, I’ve decided to just publish what I have so far in case they are useful to anyone. This is not necessarily the right way to teach PowerShell. It is an experiment in converting some classroom-tested Linux based notes to PowerShell. These notes have been developed and tested on Windows 7. Behaviour may be different using different versions of Windows. These notes are given as they were left sometime in mid 2013. Some things may be out of date. I was learning PowerShell as I developed these notes. As such, I fully expect them to be full of mistakes. Corrections and improvements would be welcomed. If anyone is interested in developing these notes into something that’s classroom-ready, contact me. 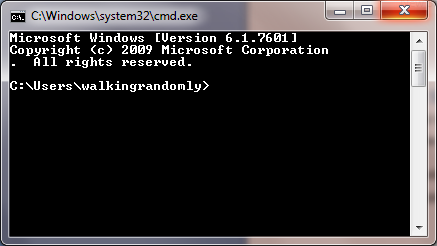 The traditional Windows command shell is a program called cmd.exe which can trace its roots all the way back to the old, pre-Windows DOS prompt. Note that although the header of the above window mentions v1.0, it could be a screenshot from either version 1.0 or version 2.0. This is a well-known bug. If you are using Windows 7 you will have version 2 at the minimum. If this variable does not exist, you are probably using version 1.0 and should upgrade. cd ~                        #Change current folder to your user directory. rm file.txt                 # Delete - no recycle bin. Many of the PowerShell ‘commands’ we’ve used so far are actually aliases to Powershell Cmdlets which have a Verb-Noun naming convention. We can discover what each command is an alias of using the get-alias cmdlet. One reason why aliases were created is to make PowerShell a more familiar environment for users of other shells such as the old Windows cmd.exe or Linux’s Bash environment and also to save on typing. You can get a list of all aliases using get-alias on its own. Finally, here’s how you get all of the aliases for the Get-ChildItem cmdlet. What type of command is mkdir? Get-Alias : This command cannot find a matching alias because alias with name 'mkdir' do not exist. Now we can clearly see that mkdir is a PowerShell function. 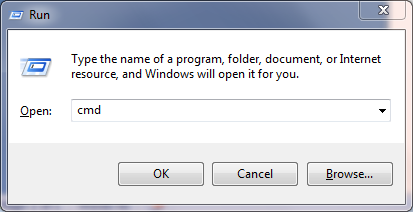 The mkdir.exe is an Application which you’ll only see if you installed git for windows as I have. A Cmdlet (pronounced ‘command-let’) is a .NET class but you don’t need to worry abut what this means until you get into advanced PowerShell usage. Just think of Cmdlets as the base type of PowerShell command. They are always named according to the convention verb-noun; for example Set-Location and Get-ChildItem. Up arrow browses previous commands. Linux has a command called wc that counts the number of lines and words in a file. Powershell has no such command but we can do something similar with the Measure-Object Cmdlet. This is because the measure-object Cmdlet, like all PowerShell Cmdlets, actually returns an object and the above table is the textual representation of that object. Sometimes, you’ll want to simply return the numerical value of an object’s property and you do this using the select-object Cmdlet. Here we ask for just the Count property of the GenericMeasureInfo object returned by measure-object. There is no direct equivalent to grep’s -w switch. Grep has a -v switch that shows all lines that do not match a pattern. Select-String makes use of the -notmatch switch. One difference between grep and Select-String is that the latter includes the filename and line number of each match. The type of elements in PowerShell arrays don’t necessarily have to be the same. In this case, however, they are. Alternatively, we could have asked for each element’s type using the For-Each-Object Cmdlet to loop over every object in the array. Where $_ is a special variable that effectively means ‘current object’ or ‘The object currently being considered by Foreach-Object’ if you want to be more verbose. So, we know that we have an array of 2 MatchInfo objects in our variable mymatches. What does this mean? What properties do MatchInfo objects have? We can find out by piping one of them to the Get-Member Cmdlet. ls haiku.txt,test_file.txt 2>&1 > output.txt  # Combine the two streams. If you have PowerShell 2, you can only use the long winded version. It’s simpler in PowerShell 3. Similarly for searching for files only. With the Unix find command, you can specify the maximum and minimum search depths. There is no direct equivalent in PowerShell although you could write a function that will do this. Such a function can be found at http://windows-powershell-scripts.blogspot.co.uk/2009/08/unix-linux-find-equivalent-in.html although I have not tested this! One key difference between find and get-childitem is that the latter is case-insenstive whereas find is case sensitive. In bash, you can execute a command using backticks and the result is substituted in place. i.e. In both cases, the command bar is executed and result is substituted into the call to foo. ls outputs a list of files, measure inputs a list of files. ; equivalent to running two commands on separate lines. Question: what does this do? Answer: counts the number of files with s in their name. Bolt together to create powerful computational and data processing workflows. Good design principle applicable to programming – Python modules, C libraries, Java classes – modularity and reuse. “little pieces loosely joined” – history + select-string = function to search for a command. echo "My file name is $MYFILE"
This modification to PATH will only last as long as the current session. It is possible to permanently modify the system PATH but this should only be done with extreme care and is not covered here. echo "Welcome to PowerShell. This is a message from your profile"
Restart PowerShell and you should see the message. You can use this profile to customise your PowerShell sessions. For example, if you have installed NotePad++, you might find adding the following function to your PowerShell Profile to be useful. You can similarly be explicitly case insensitive by adding an i. Although this is the the same behaviour as the undecorated operators and so might seem unnecessary, it shows your intent to the reader. PowerShell has several looping constructs. Here, I only consider two. Allows you to run a block of code a set number of times. PowerShell scripts must be created with plain text editors such as Notepad or Notepad++. NEVER use Microsoft Word! Windows file permissions are rather more complicated than those of Linux but most users won’t need to worry about them in day to day use. This counts up to 200000 in user-defined steps. You can run as many simultaneous jobs as you like but it is best not to run too many or your computer will grind to a halt. $command = "$scriptPath -step $i `> $outputfilePath"
http://www.chiark.greenend.org.uk/~sgtatham/putty/ – PuTTY is a free implementation of Telnet and SSH for Windows and Unix platforms. http://winscp.net/eng/index.php – Free SFTP, SCP and FTP client for Windows. There are no direct PowerShell equivalents to zip, unzip, tar etc. There are write-zip, write-tar and write-gzip cmdlets in the third party, free PowerShell Community Extensions but I have not investigated them yet. Stop-transcript Stops recording and finalizes the transcript. Record commands typed, commands with lots of outputs, trial-and-error when building software. Send exact copy of command and error message to support. Turn into blog or tutorial. (Bentley, Knuth, McIlroy 1986) Programming pearls: a literate program Communications of the ACM, 29(6), pp471-483, June 1986. DOI: [10.1145/5948.315654]. Dr. Drang, More shell, less egg, December 4th, 2011. Common words problem: read a text file, identify the N most frequently-occurring words, print out a sorted list of the words with their frequencies. Software Carpentry‘s online Bash shell lectures. G. Wilson, D. A. Aruliah, C. T. Brown, N. P. Chue Hong, M. Davis, R. T. Guy, S. H. D. Haddock, K. Huff, I. M. Mitchell, M. Plumbley, B. Waugh, E. P. White, P. Wilson (2012) “Best Practices for Scientific Computing“, arXiv:1210.0530 [cs.MS].